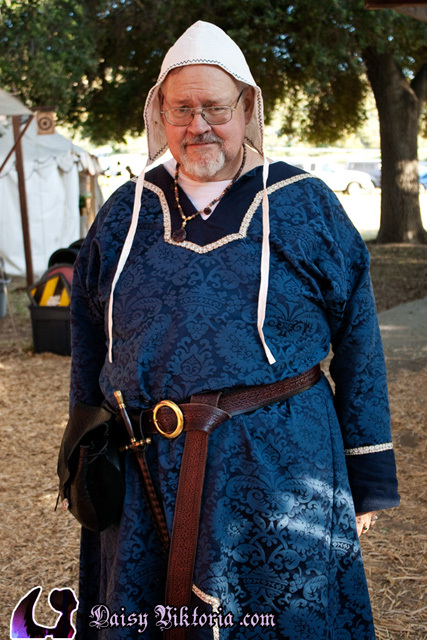 I made this tunic for Master Hroar. 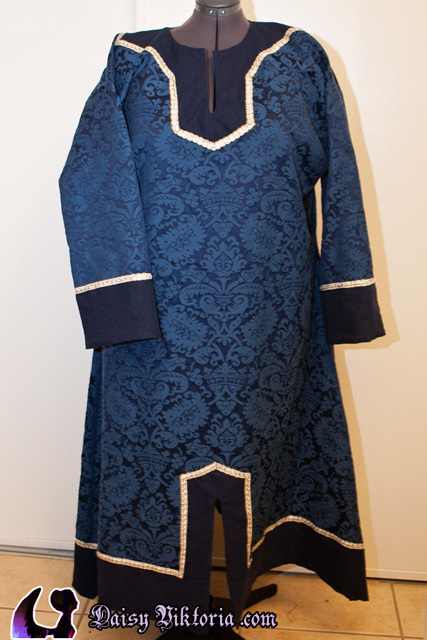 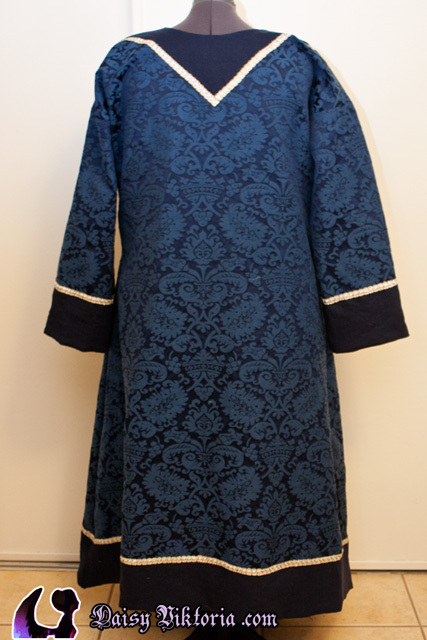 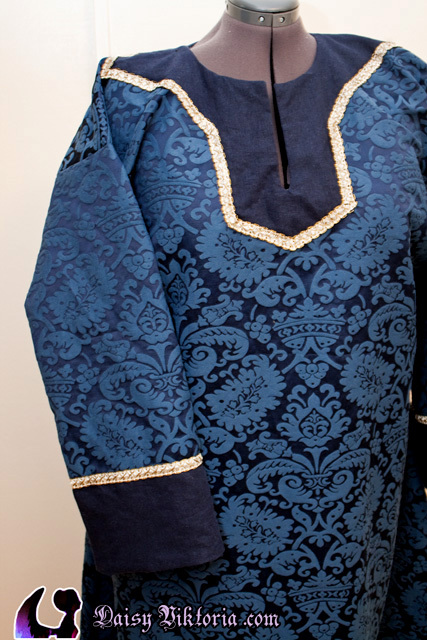 The fabric is a beautiful blue damask, and the tunic is constructed as a Viking era tunic with appropriate period patterning. 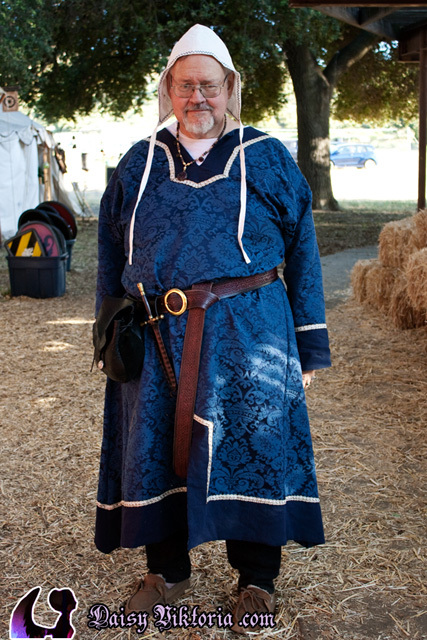 The coif is linen with black embellishment.